Perhaps it’s because Texas has a long and interesting history—it was once a stand-alone country after all, or maybe folks are just trying to reconnect with the past. Whatever the reason, shopping for antiques, collectibles, and vintage furniture has become a big draw in the Lone Star State. There have always been antique collectors. In years past many had to rely on estate sales or the occasional auction but now Texas towns go all out and attract antique and vintage collectors and resellers by the thousands. People flock to events such as Canton’s “Trade Days," with 5,000 vendors. 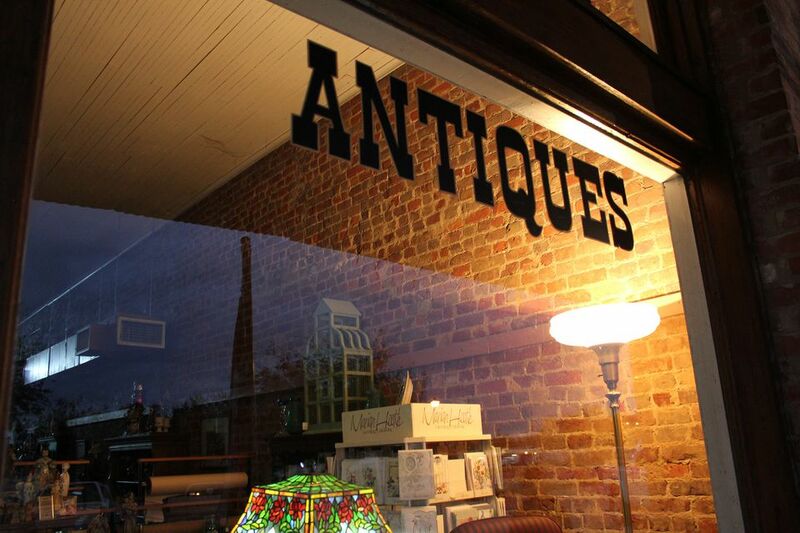 More and more, antique shoppers are finding shops and antique malls dedicated to their passion. In fact, entire towns have begun to develop their economies around antiques and those who shop for them. Among the top areas for antique shopping is the Central Texas region surrounding Austin. And, while Austin itself has a variety of stores peddling antique wares, many of the best shops are located in the small towns surrounding the Capital City. Kerrville has long been a favorite destination of Texas antique hunters. In recent years, visitors have also discovered this quaint Hill Country town with an engaging history. Downtown Kerrville is home to a number of antique shops and antique malls. The Kerr Arts & Cultural Center is a premier arts destination and hosts the annual Texas Furniture Makers Show. Kerrville also hosts market days and swap meets on a regular basis. The German-heritage town of Fredericksburg is a fun place to shop. In addition to several large antique malls, there are boutiques and interesting shops where you can find antler chandeliers, vintage knives and other rustic items perfect for your cabin or farmhouse. Fredericksburg hosts antique tractor events, a vintage motorcycle show, and the outdoor Fredericksburg Trade Days across from the popular Wildseed Farms. Wimberley, also in the Texas Hill Country, has dozens of shops catering to antique shoppers and hosts the oldest outdoor market in the Texas Hill Country. Although the Hill Country has become an “antique Mecca” of sorts, don’t dismiss other areas of the states when looking for antiques and furniture built long ago. In particular, many towns in the East Texas Piney Woods region have thriving antique markets. Palestine offers several antique shops for your shopping pleasure including Wells Creek Crossing, one of the Antique Trail businesses, where you'll find refurbished furniture, antiques, and a hot cup of coffee. There are also several flea markets in the area where you might just find a treasure among the junk. Jefferson, a pre-civil war town, has antique stores and several antique malls. One interesting place is Haley's Clocks and Tubs where you'll see a team of tin horses pulling a tin stagecoach right out in front, has tons of vintage collectibles and, of course, lots of clocks and some colorful vintage bathtubs. Old Town Lewisville is designed to take visitors back to the 1800s and early 1900s and you can shop for antique furniture and curios while you’re there. Round Top, located between Houston and Austin on Highway 237, is an antique hunters mecca. There are three shows each year: the world renowned Spring and Fall Antiques Fairs and the newer Winter Antiques Show, in the Big Red Barn which touts that they have 100 percent antiques and vintage dealers under their roof. Round Top has more than 50 venues that are open during show time, and each has their own format and specialty. First Monday Trade Days in Canton, located in Northeast Texas along Interstate 20 and U.S. Highways 19 and 64, is a massive monthly flea market. Trade Days, with 5,000 vendors, is held Thursday through Sunday before the first Monday of every month. It's the oldest, largest continually operating outdoor flea market in the United States and attracts over 100,000 antique hunters each month. Gladewater, located at the intersection of U.S. highways 80 and 271, thirteen miles west of Longview, promotes their town as the "Antique Capital of East Texas." Their downtown is home to a row of unique antique shops, antique malls, and specialty stores. They host an Arts and Crafts Festival in September have an annual Holiday Open House. Spring, north of Houston, has a nice size antique community. The Spring Antique Mall showcases over three dozen antique dealers in over 10,000 square feet of showroom. Antique Gallery Houston, also in Spring, is one of the largest antique malls in Texas. The mall is over 85,000 square feet and houses antiques, primitives, furniture, and collectibles from over 225 dealers. Historic Salado, in Bell County, is known as an arts town, is full of antique stores, and has an annual Scottish Festival in the Fall. Antique shoppers love Salado Creek Antiques for American antiques including Quartersawn carved oak furniture. The Salado Antique Mall offers thousands of antiques and collectibles in their quaint building. Wichita Falls, in northern Texas, has several antique malls, and fascinating little antique shops like Alley Cat Vintage Mercantile, which participates in special events bringing several businesses together for a fun Saturday with shopping, a "junk tent," food, raffles, live auctions and in-store specials. Twice a year hundreds of antique dealers head to the small towns along state Highway 237 from Carmine to Warrenton for a huge multi-town antique festival, billed as a weekend event but actually lasting a couple of weeks. The shows are held in communities between Houston and Austin in the rural communities of Warrenton, Round Top, Shelby, Carmine, Fayetteville, Oldenburg, and Rutersville. Antique Weekend takes place over two and one-half weeks that end the first weekend of April and October each year. The Texas Antiques Trail, a marketing website for events, malls, and antique shops across Texas, is an excellent resource for finding vintage and antique businesses as you travel. They list shows in small and large towns as well as interesting historic places to stay as you explore the antique centers of Texas. Learn about Vintage Market Days in Waxahachie and Blue Bonnet Hill Antiques in Wichita Falls. You'll be surprised at the lengthy list of shopping finds.